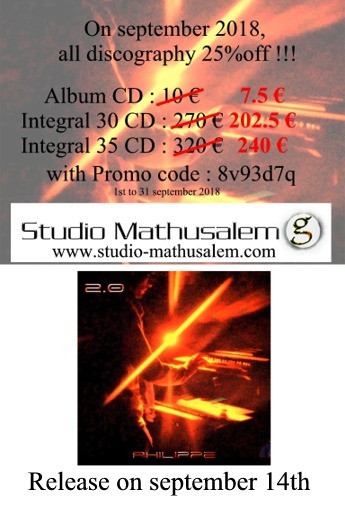 september 14th, released of "2.0" new album ! !! All the albums are on Itunes, Spotify, Amazon, Deezer etc..!